Friends of Lake Wingra is happy to introduce our new program manager, Casey Hanson. She is a UW-Madison alumna where she obtained her bachelor of civil and environmental engineering. 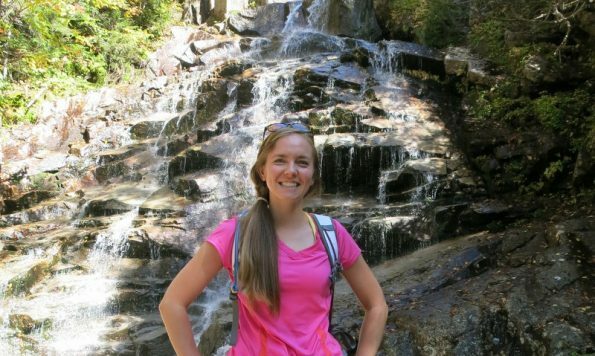 Casey is a long-time Madison resident, aside from the last few years where she pursued her master of community and regional planning at the University of Oregon and in her previous role as coordinator for the Cambridge Compact for a Sustainable Future in Cambridge, MA. Casey is excited to return to Madison; it has always felt home to her and she could not stop talking about Madison summers when she was away! Q: Why are you passionate about Friends of Lake Wingra? A: Watershed protection efforts, especially in the urban environment, are multifaceted and cross disciplinary – it forces you outside of traditional thinking! Figuratively speaking, many times practices or projects face barriers because we are so accustomed to managing “types” of water in different silos. The resulting technical, social, economic, regulatory, and cultural barriers are especially prevalent in watershed communities. The work Friends of Lake Wingra does allows for creative solutions and approaches and lets you interact with a wide-array of people and professionals! Q: What other types of projects or roles have you had? In my previous role I coordinated a local government, business, and nonprofit partnership that focused on climate change initiatives. I have also developed surface water management programs for rural communities, conducted a quinquennial statewide Oregon survey about water rates, and researched how different groups overcome barriers to innovative water projects. I love hiking all over the country and enjoy all water activities, but I think boogie boarding is my favorite. You can also find me making homemade ice cream, playing soccer, and playing Hot Wheels and Legos with my son, but I think he enjoys it more.